However, in acoustic guitar is it different? You can play an acoustic guitar exactly the same way. It can be more difficult since there is generally less space between the strings, but is still doable especially if you keep your nails in good shape (which may be difficult since steel or copper strings will put more wear on them than nylon does). There are many different ways to play that are all perfectly valid, however. Try different things and see what works best for you. Not the answer you're looking for? Browse other questions tagged fingerstyle-guitar or ask your own question. What sweeping (for bass guitar) techniques are out there? 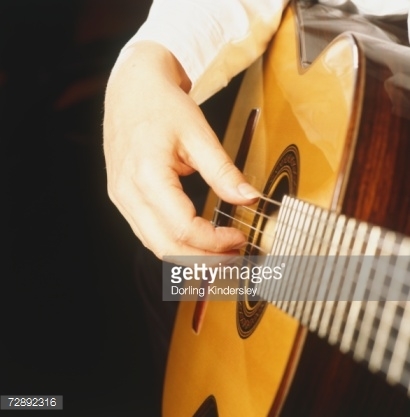 What is the best way to learn finger-picking on an acoustic guitar? how to play chords, bass and melody at the same time like Finger pickers and classical guitarists?